Take part in a survey and win a free stay in your dream destination! If you’re a traveller between the ages of 18-35 and would like to win a 3-night stay for 2 people, with a choice of 4,000 hostels in 81 countries, then Hostelling International may have something just for you! Take part in New Horizons, the only recurring global survey of the youth travel market that in 2012 gathered 34,000 responses from 137 countries. Just answer a few easy questions, share with us information about where, why and how you travel, and you may become the lucky winner! You have the most unique accommodations to choose from, from a jumbo jet in Sweden to a lighthouse in the USA or a boat in Budapest, you name it! The fourth New Horizons survey is conducted by our partner “The World Youth Student and Educational” (WYSE) Travel Confederation, a global not-for-profit membership organisation consisting of more than 600 members from 120 countries. Their goal is to promote and develop opportunities for young travellers and the youth, student, and the educational travel industry that serves them. You can find information on all the prizes and about the survey on the New Horizons website. Why is this offer only good for travelers who are between the ages of 18-35? My wife and I love traveling in the USA, Canada, and Europe and we only stay at HI hostels. We love interacting with the young people from all over the world who share our wanderlust. As a matter of fact, we are currently planning a year of traveling after my wife retires in November, 2018. 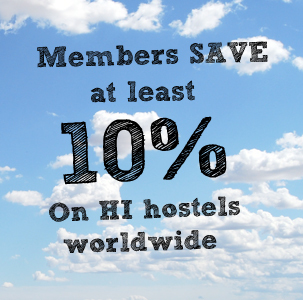 I like Hostelling International……. I stayed at Heidelberg, Berlin, Chicago, New York and Austria. I m 66 years old, from Malaysia and I had often stayed in HI when I travelled in US, Canada, Iceland and Finland. So why fixed the age at 18-35? Hi, Kim, thanks for your question! 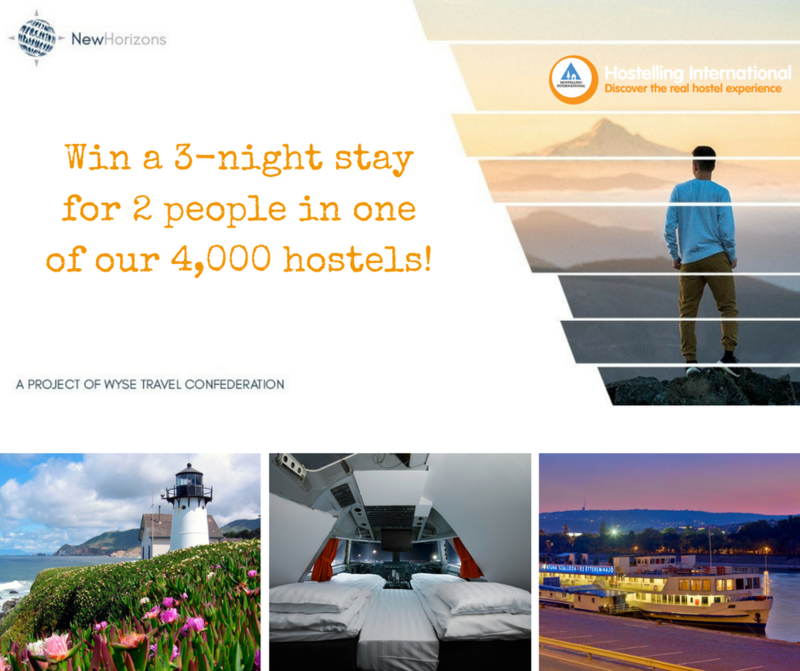 It’s a competition run by WYSE, the World Youth and Student Exchange, and they are offering an incentive provided by us – a 3 night stay for 2 in any of our hostels. So while the prize is a stay with us, the competition is run by them, and as such it is up to WYSE to select the criteria to incentivize youth to participate in their survey, which is meant to gather information about the youth travel market so that they may promote and develop opportunities for young travellers and the industries that serve them. I’m sorry for any confusion this may have caused! Yes, us non-youth do stay at hostels! Perhaps a separate contest for us non-youth.